Magnets, how do they work? This question has boggled many scientist and annoyed an equal amount of Mormones. It also is the main driving point of Teslagrad. 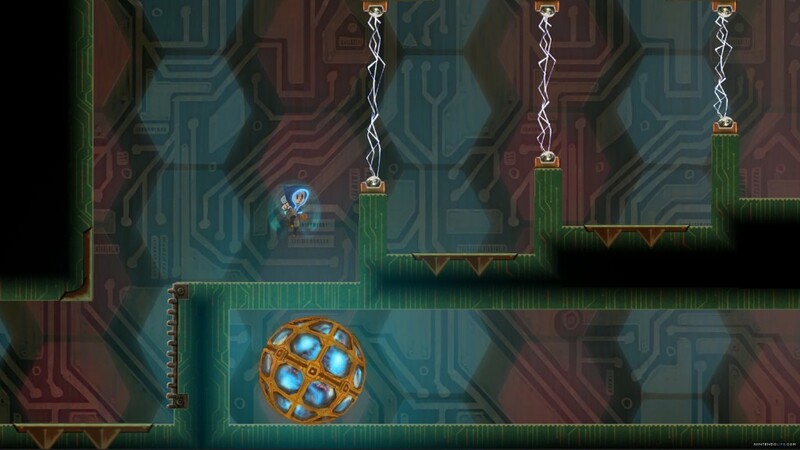 Magnetism is where it’s at when searching for solutions to the puzzles the maze-like environment produces. At a first glance, Teslagrad might seem kiddy and easy, and although it’s not frustratingly hard, finding your way around and cracking the puzzles can be a challenge. You are a boy who was abandoned by his father, giving him a lonely childhood. Upon a fateful day, the enemy marches into town and they have it out for you. So you run, and stumble upon some magical tools and what happened to the kingdom along the way. 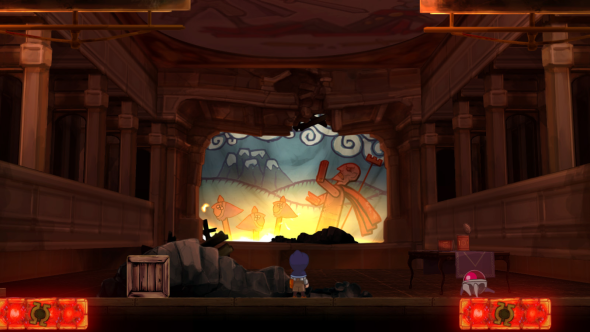 The story is interesting, but Teslagrad ‘shows’ you the storyline without actually telling you what is going on. This leads to a lot of guesswork and if you really want to know what’s going on, you’ll have to look somewhere else to find the answers. Sure you can piece together the bigger pictures but the motives and drives of the characters aren’t really clear. This makes it really hard to relate to anyone in the game. You tend to just go through the motions and when you do stumble upon lore, chances are it’ll leave you indifferent. Teslagrad has a cartoon vibe to it. It’s like you are playing a Disney story. The character looks bright and friendly and the opposition comes off as menacing and dangerous. This is clear even though not a word is exchanged between them. The environments are mostly corridors, but that doesn’t mean they are all the same and that they don’t have their own vibe. At one point you might be traversing wet, depressing dark hallways, and the next you might be climbing vines in lush green chambers. The maps also loop into themselves and this can make navigating quite confusing. When you get some information of the game, you’ll find out that the game has over 100 hand drawn environments. This is something massive as it requires quite some work to create. The game really missed a golden opportunity. Having voice acting would have helped the story heaps. A background story teller could elaborate the narrative as you traversed the map, keeping up the pace and this would help your attention from slipping. It would give you an extra drive to know exactly what happened for things to be as they are now. It could also give some background story on the tools you pick up along the way. As it stands now, the game only has music and background noise to fall back on, and it gets the job done, but it is in the nature of man to always want that little bit more. 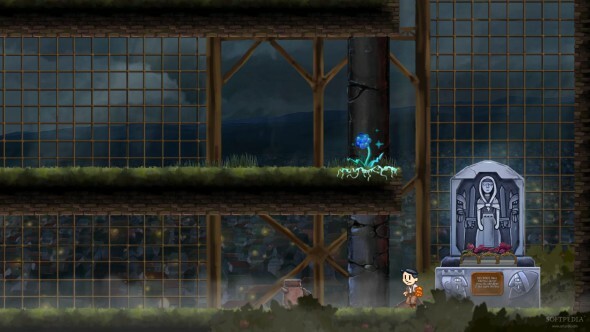 Teslagrad is a platforming adventure puzzle game. What starts up as an easy run and jump operation soon expands to punching blocks to fuse them with the power of magnetism, teleporting yourself for short distances, charging yourself with a certain magnetic pole and a staff with which you can charge enemies. To get all these however the game has you jumping through hoops as exploring takes up quite some time. When you do however stumble upon the right path it really feels like a victory upon itself. Teslagrad neglects the features of the PS Vita completely, which is quite a shame. The gameplay could really shine if the developers would incorporate the Vita’s touch screens. The frontal could be used for positive charges and the rear could be used for negative charges. As it currently stands it only feels like the game has been ported to the Vita because it’s the most current Sony handheld. The touchpad could also be used for the Playstation 4 version. The Wii U version could even use the features of the controller, and the only version which would lack touch pad compatibility would be the PC, Linux and OS X versions. Talking about controls, circle lets you blink, Triangle sets up negative side and the square lets you set up positive side, or vice versa if you rather want negative to be blue and positive to be red. The game doesn’t outright state that it’s positive and negative, but it’s about magnets so it speaks for itself that the colours represent poles. The puzzles themselves are ingenious while the boss battles are self explanatory and if you make quick work of the puzzles in between them you’ll make even quicker work of them. This could be a bad thing, but it actually accentuates the fact that the game teaches you the mechanics. 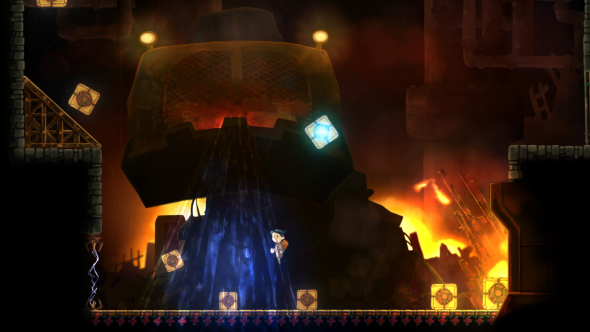 If you are looking for a game that is both cheap in price and yet well constructed, then Teslagrad will attract you. It won’t answer the question on how the magnets work, but will satisfy you with a physics engine that works equally well. If you are looking for a mindnumbing brainwracking puzzling experience then you’d best pass this by, it won’t still your hunger.